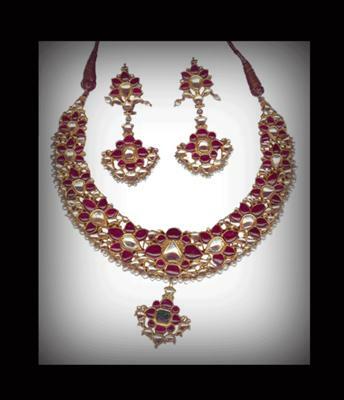 A Lustrous and royal jadav necklace is in the combination of uncut diamond , fine precious rubies and beautiful workmanship encrusted with 23 carat gold, for sale price is 15,00,500/-Rs only. It will give you or your love one a grouches look. "No shipping charges in India". 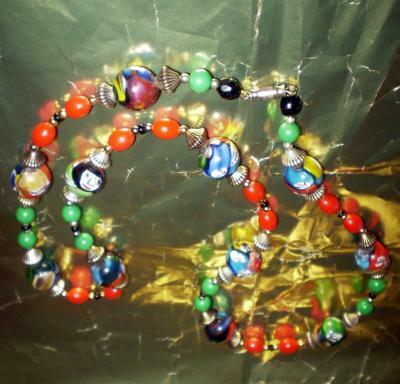 The designs on the beads are so unique I have never seen Millefiori beads like these before. In all colors and patterns, they include fascinating faces, if you look carefully. They are stunning. In beautiful condition with brass barrel closure. Price on email inquiry. Stunning, exquisite, rare, one of a kind. Mint condition!!! Rolled gold and white opal antique necklace. Simple is yet gorgeous!!! CH tag is still intact. No damage or even signs of wear!!! Mixed metals, so is no pure gold, hints the rolled gold.. absolutely stunning!!! 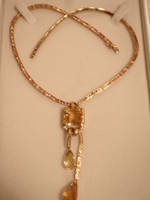 I have gold coin jewelry I wish to sell, in the form of a gold coin necklace. 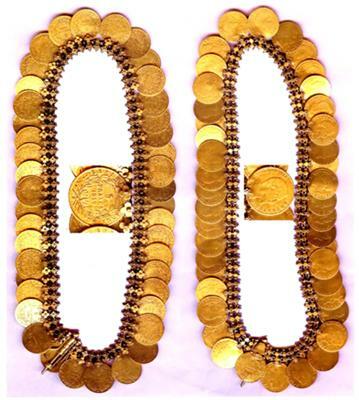 The necklace contains 42 x 5 franc gold coins minted during 1840 to 1860 years pertaining to the regime of Emperor Napoleon-III also known as Louis- Napoléon Bonaparte. 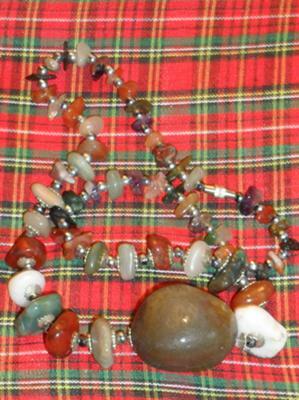 I wish to sell the ornament in a right way and to acquire a reasonable price. Dear antique jewelry investor your blog has been very helpful to me in gaining knowledge about various types of antique jewelry. 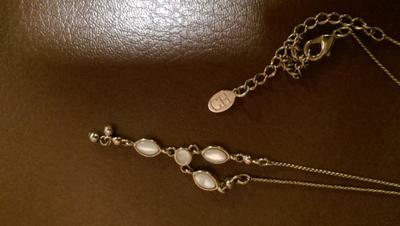 I own a very beautiful antique diamond necklace which is about 60-70 years old. It is comprised of a combination of ruby, emerald and diamonds which is very old, I m looking for investors for this beautiful jewelery. SCOTLAND SO ALL GENUINE VINTAGE GEMS. This beautiful and LUXUARIOUS 39.65ct necklace with diamonds, citrines and tourmalines all set in 14K yellow gold! 100% guaranteed real diamonds,citrines,tourmalines and gold! 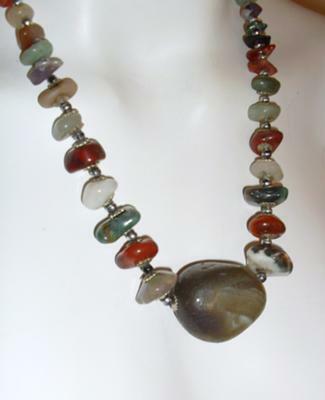 Great piece for resale or that special someone! ***NOTE: any attepts to purchase this item which are fake will be reported to the authorities! Will ONLY ship to Canada/U.S.A.